Oy Vey! My holiday weekend was a crazy one. Watched the Peachtree Road Race, worked a track meet, went to a wedding. 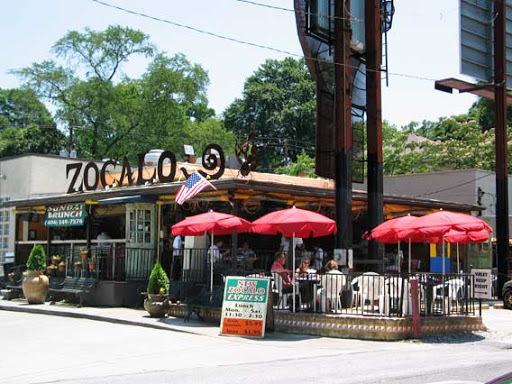 My weekend highlights were seeing many old friends and cute babies at the track meet and my fabulous dinner at Zocalo’s. The Pollo Tres Zetas is an amazing dish with asadero cheese, poblano peppers, mushrooms and a creamy tomatillo salsa. The 10th Street location has a great patio! Go check it out. Thursday evening I trimmed the hedges in my mother’s front yard and ended up with poison oak on my left leg. It presented itself late Friday night and was really attractive by Saturday at the track meet. Another reason to never own a home!!! "I was the Robert Downey Junior of cookies!"